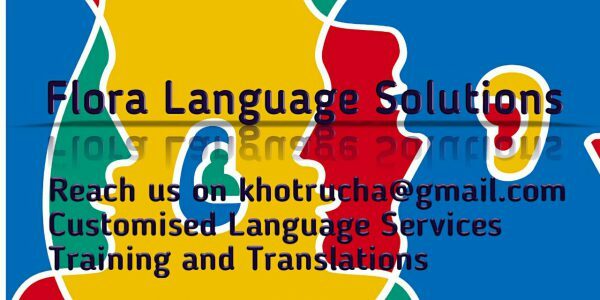 Flora Language Solutions is a language solutions provider established in July 2012 by Rucha Sudhir Khot that focuses on teaching German and English language to students, executives, housewives and language enthusiasts at their own pace and independently. We also specialise in content writing and translations of technical, medical and literary documents. Our aim is to provide customised language solutions to one and all. **Individual Classes starting from Rs. 2500/- for children and students. Get in touch with us on khotrucha@gmail.com. Meet our French Trainer, Rashmeet Kaur, who is experienced in teaching French to STD.6 and above since two years. She has successfully completed her Diploma in French Language and now studies Advanced Diploma in French from SPPU. A happy-go-lucky 20year old, a passionate storyteller and a down to earth girl, Rashmeet is an excellent orator and storyteller. She is dedicated and sincere to her work.